I think that shopping for food as close as possible to where it is bred or grown and/or in a retail outlet where the owners can give you chapter and verse on the provenance of all the items they stock is an eminently sensible idea. The Waterfall Farm shop is a place that melds the close to source ideal, as it sells lamb from Waterfall Farm direct to the public, with the wished for good product knowledge as the owners are totally au fait with the origin and other details of the hand-picked range of mainly artisan foods that they sell. 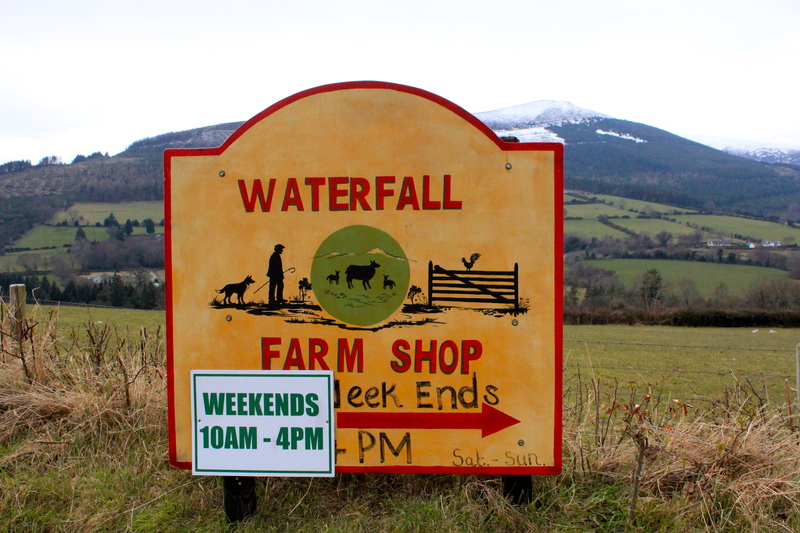 The properly lovely location of Waterfall Farm and the Waterfall Farm shop is the scenic Glencree Valley in North Wicklow, not far from the picturesque village of Enniskerry and close by the entrance to the Powerscourt waterfall. To get there, by car, takes about thirty-five minutes from the centre of Dublin. Michael Keegan and his wife Hannah Volger own the hundred and seventy acre Waterfall Farm. The Keegan family footprint is etched onto these acres as Michael’s family have farmed these fields for several generations. 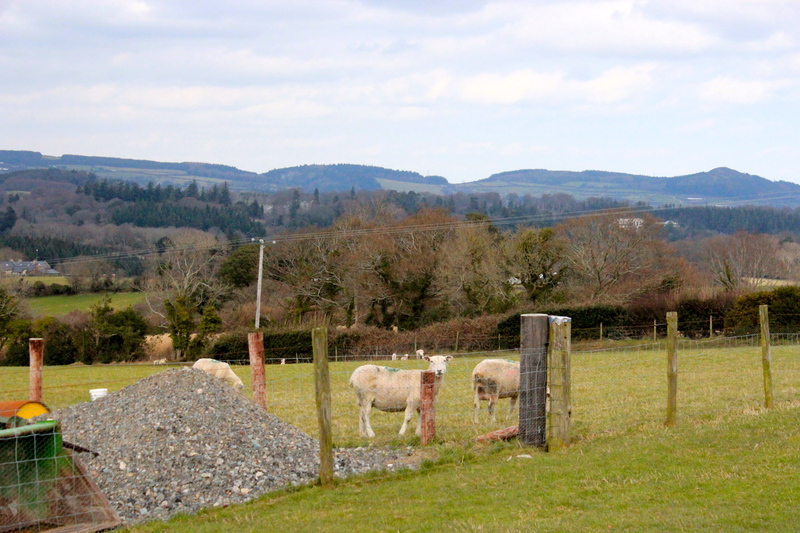 It’s a sheep farm where they raise and husband a pedigree breed called LLeyn. 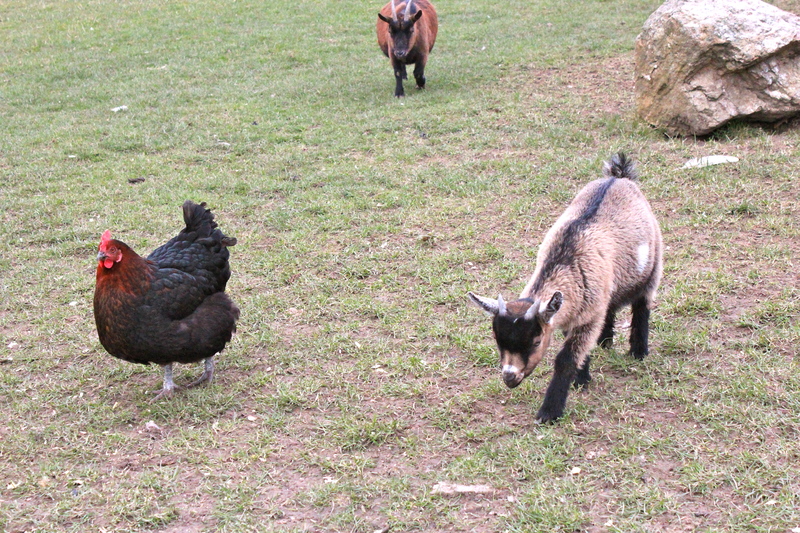 They also keep other farm animals: horses, hens rabbits, and some über cute pygmy goats as an attraction for visitors, especially junior ones, in a field next to the shop. 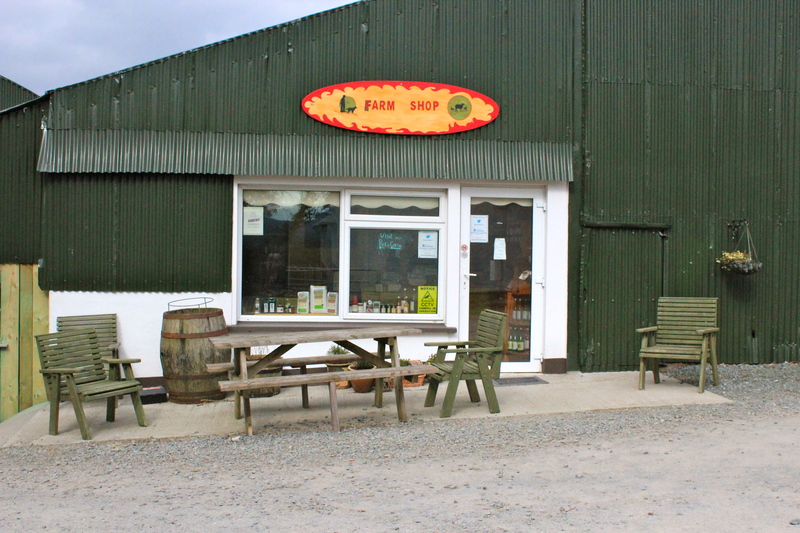 Michael and Hannah opened the farm shop in 2011. 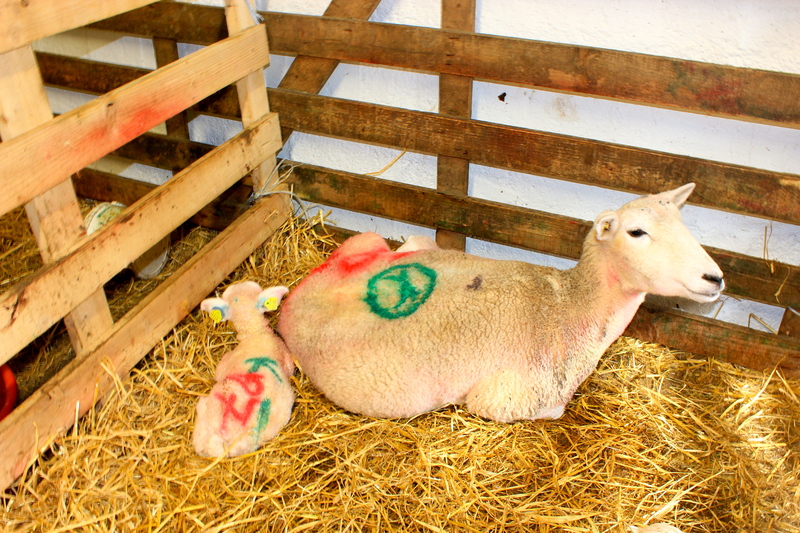 They were already selling their own lamb direct and as they knew that there were some tip-top farmers and food producers local to them in Wicklow opening a retail space seemed like a logical thing to do. Since then they have spread their food net further afield and the goods they now stock come from all parts of Ireland and there are also a few imported item. The shop is a fair size but has a Tardis-que quality which has nothing to do with the square meterage but all to do with the fact that on a cursory glance it is difficult to believe that they there is such a variety of stock. 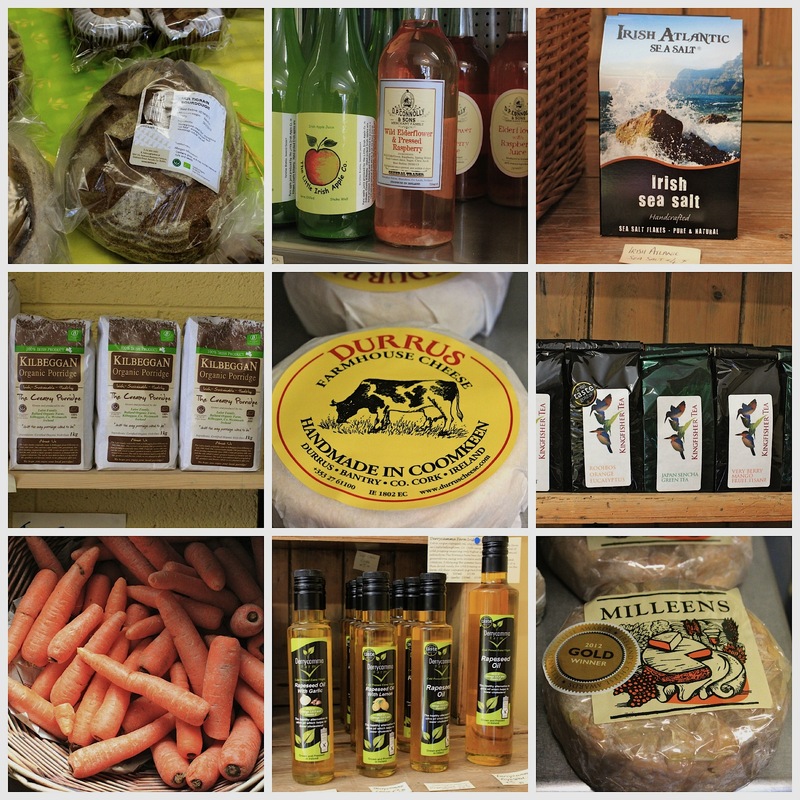 You can buy: speciality teas, oils, organic herbs, jams, honey, ice cream, Irish farmhouse cheeses, milk, free-range eggs, seasonal fruit & vegetables, porridge oats, the utterly divine Tartine sourdough bread, and even some natural beauty products. A sentence on the farm’s website – http://www.waterfallfarm.ie – gives you an idea of Michael and Hannah’s food philosophy it says that: ‘All our food comes straight from farmers and producers who share our commitment to quality, sustainability and seasonality’. The shop is a little off the beaten track off but the thing about shopping there is that visiting a shop on a farm, with its added attractions, is so much more of an adventure than a pedestrian trawl through the aisles of a supermarket stuffed to the gills with factory made foodstuffs. I am glad I came across the Waterfall Farm shop. Note: The shop is open weekends only on Saturdays and Sundays from 10am to 4pm. Love it! Great post, B, and very sensible promotion of sustainable, traditional farming. I am all for it and these places should get much more exposure to the general public, so the social media are a great way to help keep them in business and hopefully even thrive. Thanks Stefano. I am all for places like Waterfall Farm too. I hope they thrive, I think a lot of people know about the farm shop already which is good and there are plans for a tea room/cafe soon which will be an added attraction. I am with you on the importance of sustainable, traditional farming. I like to know where my food comes from…excellent idea. It is quite important isn’t it to know the source of what we eat. Thanks so much Hannah. And I wish you and Michael continued success with the farm and the shop. such a lovely report, such a great farm shop! sadly, we hardly have enough farms around Berlin. BUT as far as I know as the mills were going out of business the only ones that flourished were those for organic produce. we went to a co-operative yesterday of various local farms and it was all so overwhelming that we walked out with a tiny sliver of cheese, some local figs (wonderfully good for breakfast today) and some chocolate. Chocolate, cheese and local figs … delicious. Thank you for stopping by. It is wonderful when you have farms where you can purchase meat and produce straight from where they were raised and grown. Karen it is indeed very nice to have farms which have food shops attached. Aside from knowing where the produce came from I like that it allows a small glance into farm life. I live even closer than you obviously do to this shop, but didn’t know about it. Thanks for the information and will definitely try it out one of these weekends. And lovely to read a blog with such local interest! Thanks Rosemary for your nice comment which is much appreciated. I hope that you enjoy your trip to the farm shop. I love it when you introduce us to these special places in Ireland. Thank you. I am glad you enjoyed the post. I only discovered the farm shop recently when I was out for a drive one Sunday – I love serendiptious discoveries.